There have been several recent sightings of an unusual 'dog-like' animal, seen in and around the region of northern NSW and north coast wildlife expert Gary Opit has been taking note, according to the Daily Examiner. For the past 15 years, Mr Opit has been a regular guest speaker on ABC North Coast (formerly 2NR) and in that time he has received around 50 reports from callers describing an unfamiliar animal that he said resembles one of two species, possibly the marsupial lion (Thylacoleo carnifex), or the Tasmanian Tiger (Thylacinus cynocephalus). While the last known Tasmanian Tiger died in Hobart Zoo in 1936, Mr Opit said that the most recent fossil evidence of the marsupial lion, which lived on Australia's mainland, was dated at around 3000 years old. Many of the recent sightings have occurred around Mullumbimby, Nimbin and Byron Bay. 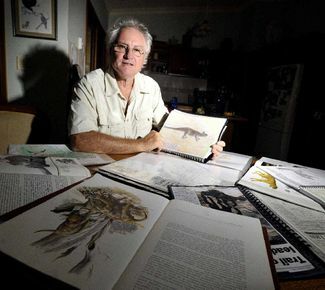 But before you jump to any conclusions, Mr Opit has been gathering newspaper clippings and eyewitness reports from all over Australia since the early 1960s when, as a young man, he first became interested in unusual and unclassified native animals. 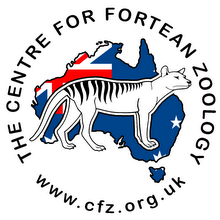 "I always wanted to be a zoologist, was always visiting Taronga zoo and the Australian Museum and, as a 19-year-old Sydney teenager, I bought my first zoological text book, 'Furred Animals of Australia' by the Curator of Mammals at the Australian Museum, Ellis Troughton, our top zoologist," Mr Opit said. "I was surprised to find between the studies and descriptions of the Tasmanian Devil and the Tasmanian Tiger, two pages dedicated to the Striped Marsupial-cat of North Queensland. Years earlier, in 1963, I had kept a clipping from one of the Sydney papers with a photograph of an unknown animal, described as the Ozenkadnook Tiger and taken by a Melbourne lady named Rilla Martin," he said. Not long after, the young Gary Opit moved with his family to Surfers Paradise and it was here that he read and kept a letter to the editor to the Gold Coast Bulletin, published 22 September 1967, from Mr Carl Lentz, an early pioneer, who wrote in response to articles on a mystery animal observed by people on the edge of Southport living beside the State Forest. He wrote: "Then a great strange head appeared out of the thick foliage. It was about to jump towards me so I quickly fired and it fell with a hard bump onto stones only two yards away. It was as big as an Alsatian dog. We tied its legs together with tough vines and stuck a long pole through them, by which we carried it home about half a mile. It was heavy. I intended to take it to Nerang 10 miles away by pack horse the next day and send it by train to the Brisbane Museum but owing to heavy rains all night causing the creek to flood we couldn't make the journey to Nerang so we measured it and skinned it instead." "From the tip of the nose to the end of its long thick black tail it measured six feet, height of shoulder 25 inches, around the chest 23 inches. It was long in the body and strongly built on the forequarters, but more slightly built around the waist and hindquarters. It had two extra long sharp fang teeth, one and five eighth inches long besides the four ordinary incisor teeth. Its forehead and face was a light bronze colour. It had five bright orange rings of very short hair around its eyes. Its eyes were puce (purplish-brown) coloured. It had round ears of a pale fleshy colour, almost human ears. It had a short thick coat of light pale blue-grey and white stripes running downwards with bright, marble-sized orange to yellow spots along the flanks." "From the back of the head covering the body it had a dark thin coat of black hairs and this made it appear a brindled colour at a distance when seen standing up from the side. The light pale blue-grey and white stripes running downwards along the flanks shone through the long thin outer coat of black hairs and looked very pretty close up. Its tail was covered with long black hair, underneath that, white and blue-grey rings an inch wide. It was a magnificent, male, specimen." A couple of years later in 1969, Mr Opit was fortunate to himself see this animal cross the road at night and drew a picture. "I used to work with Australia's most famous zoologist David Fleay at his zoo at West Burleigh, he was famous for filming the only movie footage of the last Tasmanian tiger in Hobart in 1936 and the first to breed the platypus. A couple of times people described to him the same animal that I had seen and he wondered if it could be a mainland representative of the Tasmanian tiger." In the early 1970s, Mr Opit began working as a park ranger for the QLD National Parks, and while at O'Reilly's in Lamington National Park, he recorded wildlife but never heard any more about the Punchum and he thought that whatever it was it was probably extinct. Then, in the mid 1980s and early 1990s, Mr Opit received reports and drawings from people on Tamborine Mountain where he lived on and off for 25 years, but he had never seen it himself even though he explored most of the forests identifying plants and animals. "It was only after moving to live on Jones Road between Wooyung and Yelgun that I finally observed again what is probably the same unknown carnivorous marsupial, the Punchum, though this individual is very dark brown," he said. "I have found it two other times in the Billinudgel Nature Reserve and both times it moved off rapidly." "I have never really gone too public about it before, except mentioning it on my Wildlife Wednesday broadcast two or three times over the last 15 years of broadcasting, when listeners described a similar animal that they had observed. 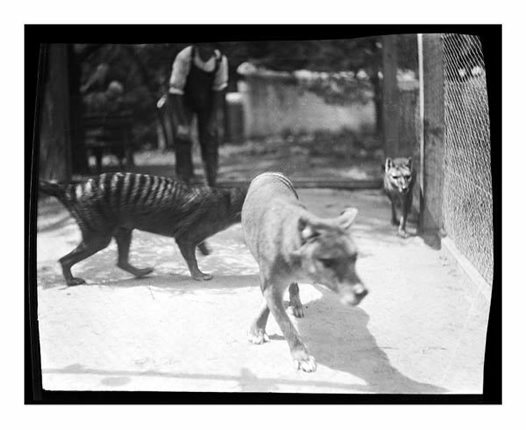 Eventually I put all the reports that sounded most like a thylacine together for the ABC website. I still don't know what it is." As an Environmental Scientist, Mr Opit has assisted Australian Government's in all areas of conservation and is highly regarded in the Australian Crypto world as an authority. * Reports of unusual animals have been circulating in Australia since the early days of white settlement and while many of these animals have since been identified and classified, a small number remain unexplained. Wildlife expert Gary Opit said many of the reports he has recorded over the years describe an animal of similar characteristics and have come from ordinary, reasonable people, leading him to believe that witnesses have described the same species and weren't experiencing hallucinations. "While some people report seeing distinctive bands or stripes on the body and tail, and others don't, I believe what they are reporting is almost certainly the same animal species, mostly likely a thylacine or thylacoleo," Mr Opit said. Now Mr Opit is hoping the widespread use of smartphones will eventually lead to some firm evidence; preferably a video. "It's just a matter of time," he said, adding that the scientific community would probably continue to ignore these anecdotal reports until there is some form of hard evidence, either a live animal or a dead one. So far, Gary says, he hasn't received any reports of the mystery animal from the Clarence Valley region but he expects they inhabit bushland areas throughout eastern NSW. Have you seen an animal you can't identify? "I can't say I've been influenced by a lot of Belgians in my life, but I make an exception for one: Bernard Heuvelmans, a zoologist from Brussels who wrote a book which reverberated through my imagination when I read it as a young man, and still does to this day. 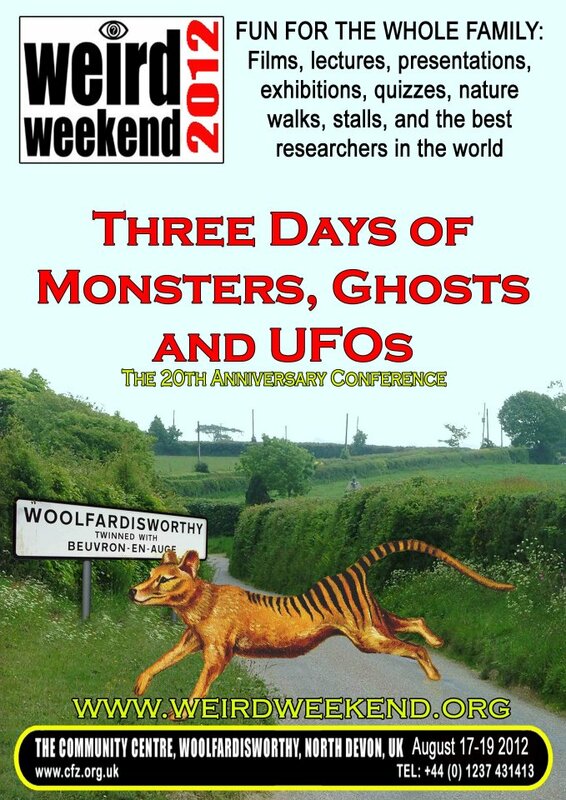 "First published in 1958, it was called On The Track of Unknown Animals and it examined the idea that there were still large, wild creatures left to be discovered, and that some of them might be remarkable relicts from the past. "Heuvelmans' book formalised an area of inquiry – an enthusiasm, if you like – which came to be called cryptozoology: the search for animals whose existence has not been proven. Cryptozoology is regarded as merely pseudoscience by mainstream biologists, fixated as it is with the Loch Ness Monster, and the Yeti, and the Bigfoot of the American North-West (now generically referred to as "cryptids"), not to mention ABCs or Alien Big Cats – seen the Surrey puma lately? 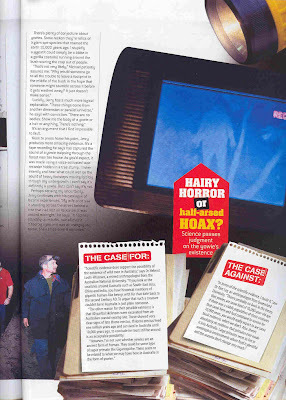 – and, indeed, it quickly shades into preoccupation with UFOs and the paranormal, and features prominently in publications such as Fortean Times, specialising in Weird News. "So far, so wacky. They're out there, man. I tell you, they're out there. But Heuvelmans himself was a classically trained zoologist (his doctoral thesis was on the teeth of the aardvark) and his book is a scrupulously sober amassing of information not only on beasts which are formally unknown, but on animals which had been discovered fairly recently, such as the pygmy chimpanzee (the bonobo) and the Komodo dragon, the giant monitor lizard of Indonesia, as well as on creatures which had gone extinct in the recent past, such as the thylacine, or Tasmanian tiger. "The method is far from fantastical; it is straightforward examination of cases, showing that this one had been found, and that one had disappeared, and this other one was perhaps waiting to be discovered. Some of the cases he highlighted were potentially sensational and have greatly excited adventurers, such as that of the mokele-mbembe, the legendary swamp monster of the Congo river in Africa, which has been the subject of more expeditions than you can shake a stick at, including one last year – all unsuccessful. Other suggestions were much more restrained, and some of them seemed to me entirely plausible. "One such was that of the woolly mammoth, which we generally think of as dying out tens of thousands of years ago, but which we now know (from carbon dating of its remains) survived on Wrangel Island, off the coast of Siberia, until at least 1,650 BC. 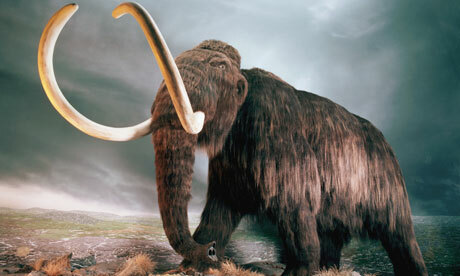 Heuvelmans' proposition, based on reports from hunters, was that isolated, relict populations of mammoths might still survive in the taiga, the endless conifer forest of the Siberian mainland. We are far more familiar with the Amazon rainforest, yet the Siberian taiga is bigger, with colossal areas still unpenetrated by roads; and I thought when I read his suggestion, and I continue to think: why not? "It's not that it's a weird or wacky idea: it's simply that nature, often so vulnerable in the face of our interventions, also has astonishing powers of stubborn persistence, even when all the evidence points to a vanishing. 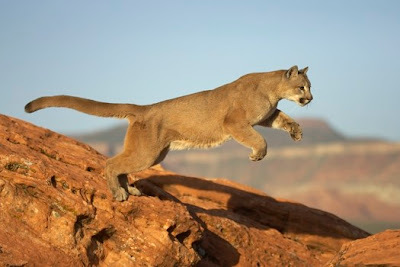 The Loch Ness Monster and the Yeti, I can take or leave, not to mention the Surrey puma, but the idea that the pine marten, our loveliest native carnivore, which we think of as entirely confined to Scotland, might be clinging on in the remoter parts of Wales – which is possible – thrills me to bits. Despite the overweening pride we take in human knowledge, we don't know everything, as Heuvelmans was pointing out; and I give thanks that in the natural world, even now, there are still some secrets left." Big cats stalking the bush? 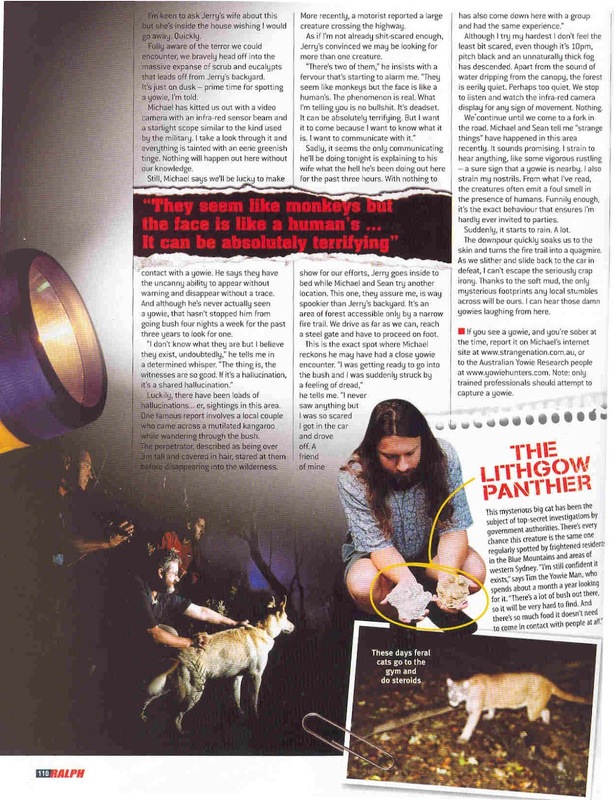 Dr Darren Naish gave Australian Big Cats: An Unnatural History of Panthers a very respectable thumbs-up recently on his very popular Scientific American blog. 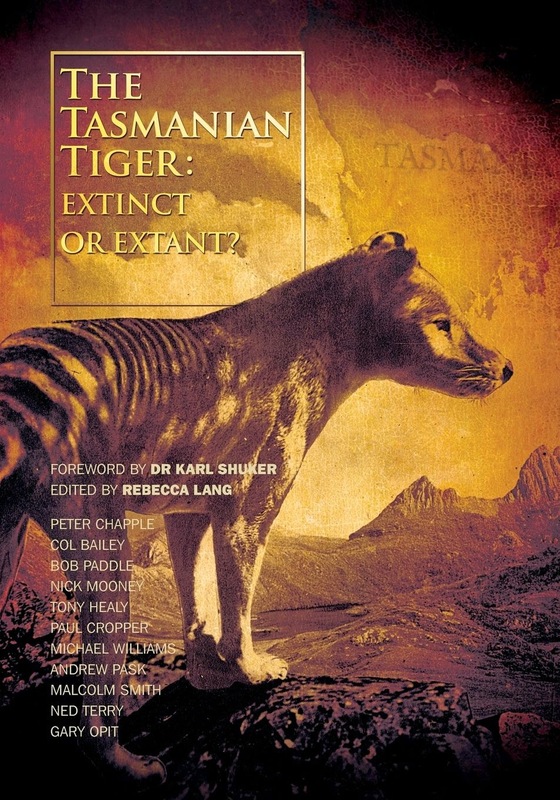 "A long term interest and involvement in Australian and world mysteries led Michael Williams and Rebecca Lang to research and produce what is now the definitive volume on Australian mystery big cats; it’s titled Australian Big Cats: An Unnatural History of Panthers (Williams & Lang 2010). "At 434 pages, it’s substantial. It’s also highly readable, nicely formatted and very well illustrated. The authors have collated a vast amount of information gleaned not only from published sources but also from interviews with both eyewitnesses and people who have examined evidence firsthand. "Williams and Lang clearly travelled widely across the country, photographing locations, people, documents, taxiderm specimens and so on at what must have been great personal expense. They obtained freedom of information acts and other previously undisclosed documents. A lengthy appendix (c. 120 pages) includes copies of numerous letters and documents produced by government officials, veterinarians, ecologists, geneticists and others. The volume is fully referenced (though with the citations given at the bottom of the respective pages, rather than at the end of the text) and with an index. 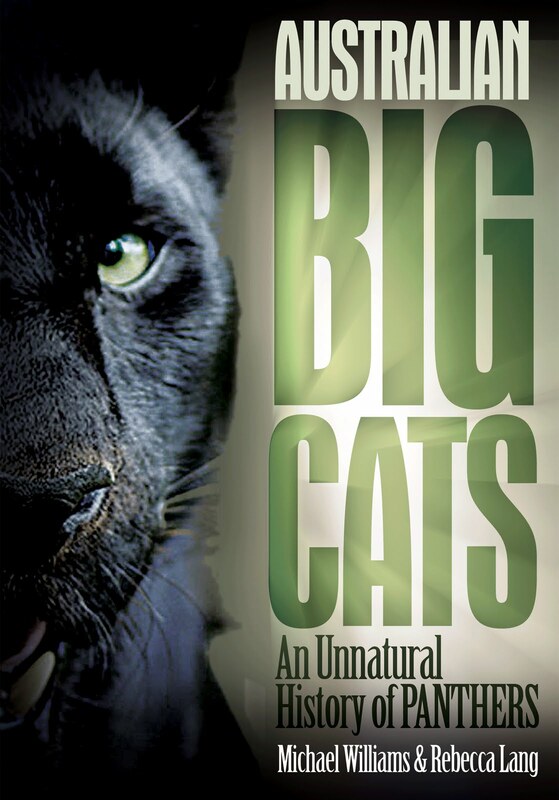 "So, to anyone seriously interested in mystery animals, mystery big cats or Australian mammals in general, this book is a must-have..."
Are pumas roaming Victoria's Yarra Ranges? Yarra Ranges residents believe pumas are not the only big cats to roam the hills, according to the Free Press Leader. Healesville farmer Ken Lang believes there are both leopards and pumas living in the area. “When I first came here in about 1980 a neighbour complained they found two dead lambs that had been chewed, high up in the fork of a tree,” Mr Lang said. He said several years ago a big cat tried to pull down a pony on Don Rd, Badger Creek, leaving the animal with big claw marks down its flanks. “Pumas eat anything from insects to antelopes, but I doubt they could try and pull down a pony. “Leopards, however, can eat small game,” Mr Lang said. He regularly loses stock to foxes and eagles, and the occasional wild dog - and is adamant he has seen a large black animal stalking his deer. He said he had talked to a Healesville plumber whose father was in the Australian army when the American officers were rumoured to have released pumas into the Victorian countryside. Mr Lang said the soldiers released the large cats onto a farm in Gippsland, and said the felines would come up to the farm to be fed for the first six months after their release. After that they were never seen again. Leader has been inundated with phone calls and letters following last week’s report Cat scanned (February 15), with residents confirming sightings from Dixons Creek, Gruyere, Gembrook, Emerald and Upwey. Toolangi naturalist Bernie Mace has researched big cat sightings for more than 30 years and has seen and heard pumas in the area. “It is my belief that we have at least one exotic species of big cat in Victoria which is the puma, Felis Concolor,” Mr Mace said. He said he had talked to a family whose encounter with a leopard matched the physical description of the animal. Mr Mace said the sightings of big darker-coloured cats could be a “melanistic” puma, which are distinctively black. The scientist said he had talked to witnesses who had been at the farm where American soldiers set a puma and her cubs free. “The farm had changed hands a couple of times by the time I got there, and I was shown the spot where the pumas were released,” Mr Mace said. He said there must be a “nucleus” of male and female pumas, otherwise there would be significant genetic issues. You can explore the American troop theory and several others in the book Australian Big Cats: An Unnatural History of Panthers. The Northern Rivers may be home to a thylacine-type animal thought to be extinct on the mainland for more than 3000 years, according to a wildlife expert. With recent sightings of an unusual animal reported in the Nimbin Valley and Byron Bay, and many more sightings in previous years across the region, wildlife expert Gary Opit said a thylacine was a possible explanation. Mr Opit is an expert in identifying fauna and hosts a weekly wildlife segment on ABC North Coast. He said he had received about 50 reports of a creature he calls the "mystery cryptic animal of Northern NSW." Many of the sightings have occurred around Mullumbimby and Byron Bay. One of the most compelling accounts came from a Byron Bay veterinary nurse in 2008 when she saw a large fawn creature weighing about 18kg in her backyard. "At 6am she heard a sound that was like possum grunting," Mr Opit said. "She saw what she at first thought was a dog about to attack a cat and rushed between them to protect the cat from the dog and realised it wasn't a dog. "It was nothing like a dog. It was dog sized. It gave these bizarre possum like coughing grunts at her. She observed it for 5 minutes." Mr Opit himself has encountered a similar animal on four occasions, once in 1969, on the Pacific Hwy, north of Beenleigh, and three times since 2007 in the Billinudgel nature reserve at Yelgun. The animals could be thylacines or the marsupial lion, Thylacoleo carnifex, he said. "There is nothing in the fossil record of the thylacine on the mainland since 3000 years ago, but there have been lots of reports of them from the early days of settlement to the present. The marsupial lion was only known from fossil specimens which were 38,000 years old. 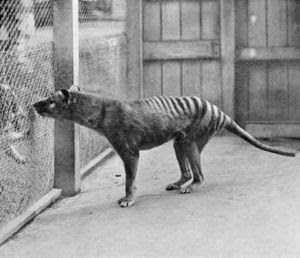 The thylacine was perceived to be extinct 50 or so years ago, he said, which made it much more likely it could still be in existence. "It is more than likely they are all of the one species," he said. Byron Bay biologist Mary Gardner has also seen an unusual animal which she was unwilling to try to classify. In late October or early November last year she was walking along Lighthouse Rd at Byron Bay with a friend when both saw the animal. "I don't know what it was," she said. "It was something that does not fit in with anything I know at all. "It had a long snout, thick rounded ears, a bony rump; it had a long wiry tail and a lean, hard body with stripes toward the rump." Ms Gardner said when she first saw the animal she thought it would hop because it had long back legs and a raised rump, but was surprised when it moved with a rocking pacing gait. She knew of two other local people who reported seeing an animal "which confused their expectations," at about the same time. Ms Gardner said the starting point in determining what the animal was would be to discover what it was eating. If someone could gather some good evidence then research could possibly be done, she said. More alleged thylacine spottings have been reported to the ABC Radio's wildlife expert Gary Opit. Officially they no longer exist, but that hasn't stopped wildlife watchers spotting thylacines in northern New South Wales. Also known as tasmanian tigers, the last known thylacine is believed to have died in a Hobart zoo in 1936. Since then, there have been hundreds of unconfirmed sightings of the animals across Australia, including a handful around Nimbin in recent weeks. ABC North Coast wildlife expert Gary Opit says the recent spotters insisted the mysterious animals were not dogs, cats or foxes. "It's not a dog or a cat, but it's about the size of a dog," he says. "It's described as having a banded tail, a greyish animal with stripes across the tail and stripes along the flank." Gary hopes the rise in popularity of smartphones will mean that eventually someone can capture the creature on camera. "It's usually always the same thing, people driving their car and an animal they've never seen before crosses in front of them," he says. "People are always adamant it's not a dog. "No one has ever been able to get a photo of one, so we don't know what it is or if it really exists, but the fact that people keep reporting them is interesting." A plea - can you help find missing Jeanett? 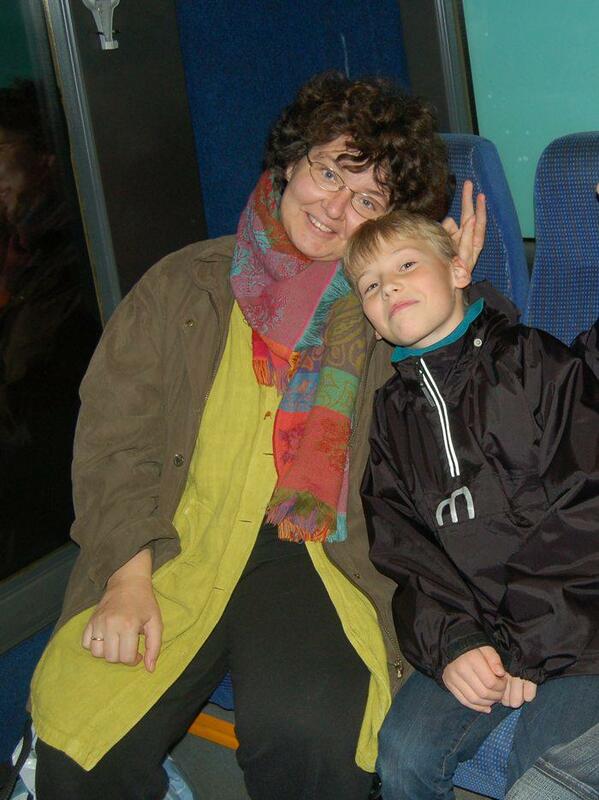 We have a special request today - can you help find the missing wife of Denmark cryptozoologist Lars Thomas? Jeanett Rask Thomas disappeared more than 24 hour ago from her home and Lars and his family are extremely worried for her wellbeing. Any information is welcome. Please re-post this information on Danish chat groups and social media. Let's all hope for the best possible outcome. 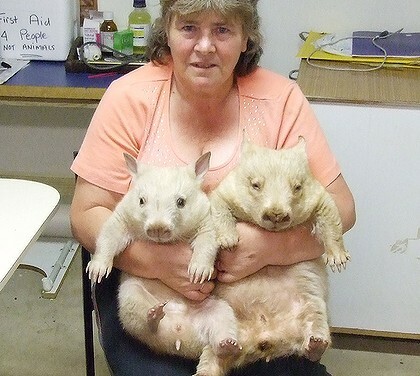 Last year we brought you the charming tale of an albino wombat rescued in South Australia and left in the care of, well, a wildlife carer. Nicknamed Polar, the ghostly white marsupial was the toast of Ceduna, the small town near where he was found, and proved an internet hit. Now it turns out lightning, or in this case, whitening, can occur in the same place! Joining Polar a scant few months later was the imaginatively named Icy. Val Salmon, who has been rescuing wombats since she was 14, said Icy and Polar were from different families and aged 14-18 months. The two wombats have been nursed back to health, with Polar now weighing 10.75 kilograms, and Icy 10.45 kilograms. Under South Australian law, rescued wombats cannot be returned to the wild and are usually adopted by zoos or other educational parks after they recover, but some of the rescued animals at Ms Salmon's centre are so badly traumatised no one wants to adopt them. The centre - which is split between Ms Salmon's half-acre backyard and a 200-acre fauna park - is home to eight wombats, eight joey kangaroos, birds, possums, emus, pet lambs and sheep and many lizards. Ms Salmon manages the Wombat and Fauna Rescue Centre "off my own bat" and runs a free daily educational talk for tourists that is funded by donations. But she is hoping to get more contributions so she can build up the fauna park and provide a permanent home for all the rescued native animals. Chasing Blue Mountains yowies - a flashback! We lost our dog today. Well, lost seems the wrong word - he shuffled off the mortal coil courtesy of a vet's needle after an agonising decline in his health - but that certainly is how it feels to us. We have lost him. He is gone. Our dear friend is no more. As dogs go he was, of course, extraordinary, marvellous, perceptive, affectionate and loyal to a fault. 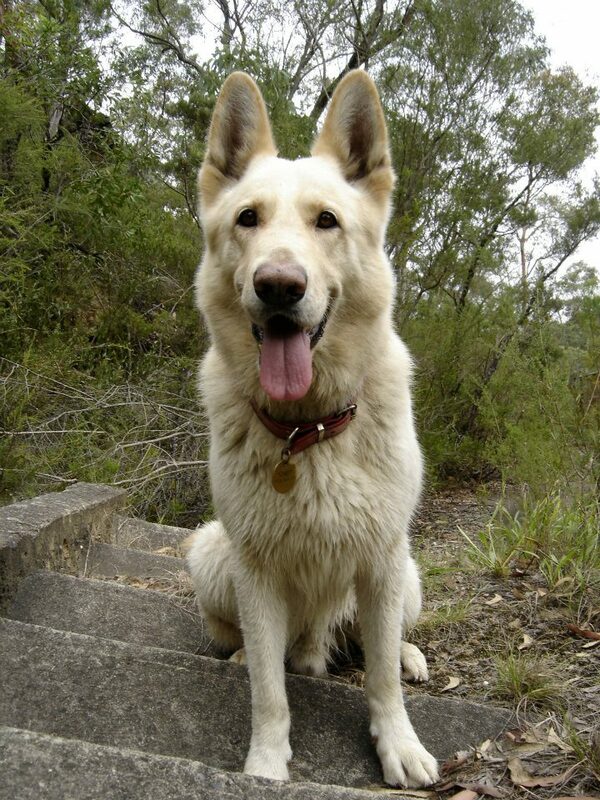 He was handsome as well, with his striking white coat and regal bearing. He was pretty much every kind of wonderful. So we think it's fitting that Chief, the great white wolf of the west (West of Sydney, that is), gets a mention on this blog. He joined us on countless adventures chasing reports of big cats, yowies and spectres. 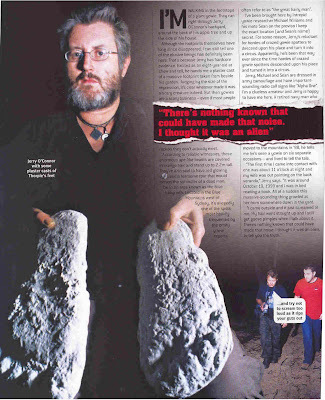 He famously roamed the abandoned cells of Maitland Gaol and scared a posse of ghosthunters (yes, almost to death!). 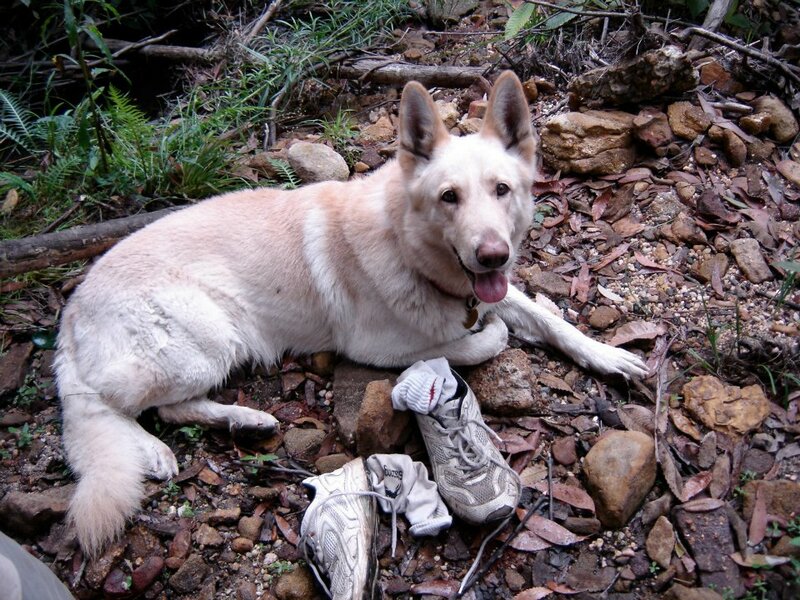 Not to mention countless bushwalks, stints on construction sites and in offices, stays in hotel rooms (rather sneakily - but he was a tidy dog), and many, many road trips. He was a well-known face in our town, and even earned the nickname The White Wolf from some neighbours and council workers who found him every bit as terrifying as White Fang! He had no tolerance for shopping, as was evidenced one day when his mistress left him sitting in the car for five minutes, windows down. When those five minutes turned into six he shuffled himself into the driver's seat, lifted his paw and proceeded to honk the horn every few seconds until his red-faced owner was alerted and hurried back to take him home! Chief was no stranger to the media, having featured in several local newspapers, gracing a gardening column as a fuzzy cuter-than-cute puppy, and as a big dog the news pages of a regional daily for Bring Your Dog to Work Day. Hey, if your dog was a fantastic as ours, you'd be using any excuse to bring him to work! 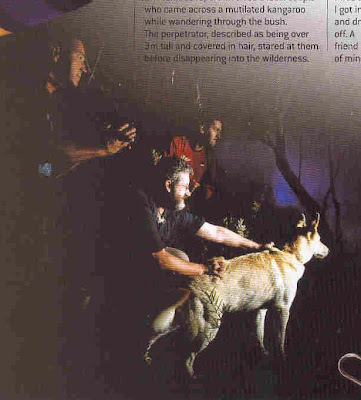 Chief even featured in the pages of men's magazine Ralph accompanying some nocturnal yowiehunters - his 50kg form straining at the leash in a wildly atmospheric photo, looking every inch the wild wolf he no doubt aspired to be in his doggy dreams. Anyway, he was our dog. He was a great dog. We'll miss him desperately. But we will also treasure some very wonderful memories. It seems fitting to also post here Rudyard Kipling's famous poem, The Power of the Dog. Read it and weep. We did.